Now , the 2600mAh 18650 could not sustain Turbo . 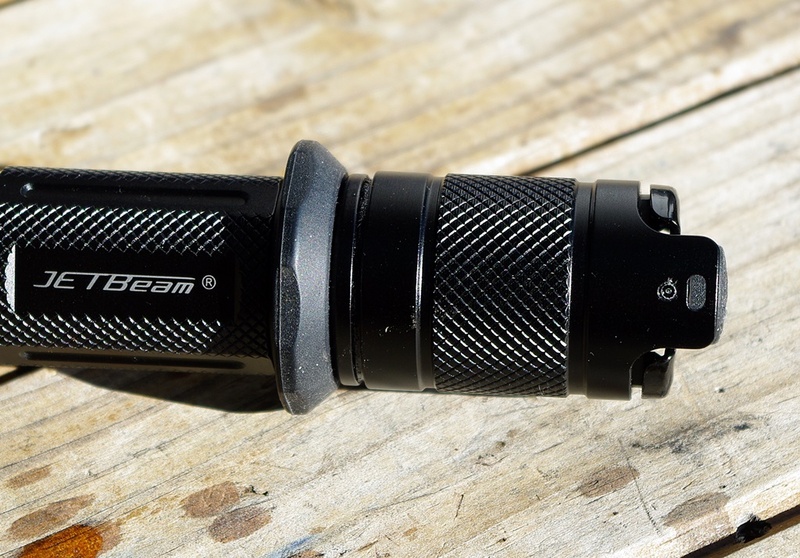 The TH15 started just over 1000 Lumens and sagged lower than High , making Turbo a waste of time with the 2600mAh Battery . Using a higher performance battery ( LG 3500mAh 10amp ) the TH15 was easily able to sustain Turbo with little in the way of output sag . I was not able to get any current measurements at as as the TH15 refused to turn on with the Multi Meter connected to take a current measurement . I can only assume some sort of safety feature as the light works fine without the Multi meter connected . The triple tail switch consists of the tail clicky , and a dual paddle like clicky either side of the ( on / off ) tail clicky . So to turn on the light you press the middle clicky ( Rubber Boot ) and to change modes you click either paddle on the side . The TH15 will start in HIGH and when you press one of the side paddles it will go into Ultra LOW , then MEDIUM and back to HIGH . To get into turbo requires a quick triple click from what ever light level you are in . When you exit Turbo you enter medium mode . Strobe : If you hold down one side of the paddle switch you will enter Momentary Strobe and if you hold long enough you will maintain strobe ( strobe mode ) . It takes about 4 seconds to enter strobe mode , anything less and you have momentary strobe . With the light off , if you press paddle switch ( one side or other ) you get a short cut to strobe . ( Momentary Strobe ) Hold it down for about 4 seconds and the light will maintain strobe . Using the side switch to change modes , you turn on the light and simply press the side switch to change modes . What ever light level you turn the light off in is the light level you get when you turn the light back on , in fact you cant change light levels unless you click the side switch . Strobe - To enter strobe give the side switch a quick double click . If you turn the light off in strobe mode the light will turn on at what ever light level you were on before entering strobe . Turbo - Once again requires a quick triple click of the side switch from any light level . If you turn the light off in Turbo mode the light will restart in what ever light level you activated Turbo . I found the light levels to be surprisingly nice and well chosen . 10 Lumen is just much nicer than 1 Lumen abd I have always wanted a light with a 10 Lumen option . Ultra Low or 60 Lumens , it's really not Ultra Low but 60 Lumens is a really nice light level to walk around with . 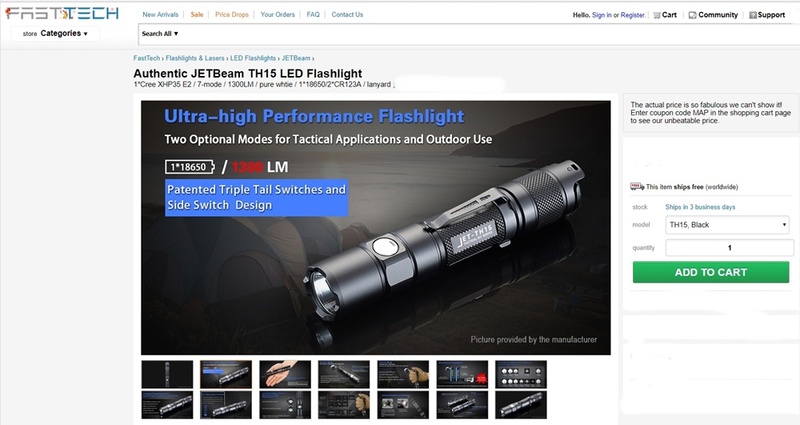 Low Mode is 188 Lumens and when the heck did 188 Lumens become LOW ? Times change I guess , I can still remember people bragging about 188 Lumens . Medium at 465 and High at around 970 Lumens is just so nice , as the TH15 is able to maintain both light levels with no issue . 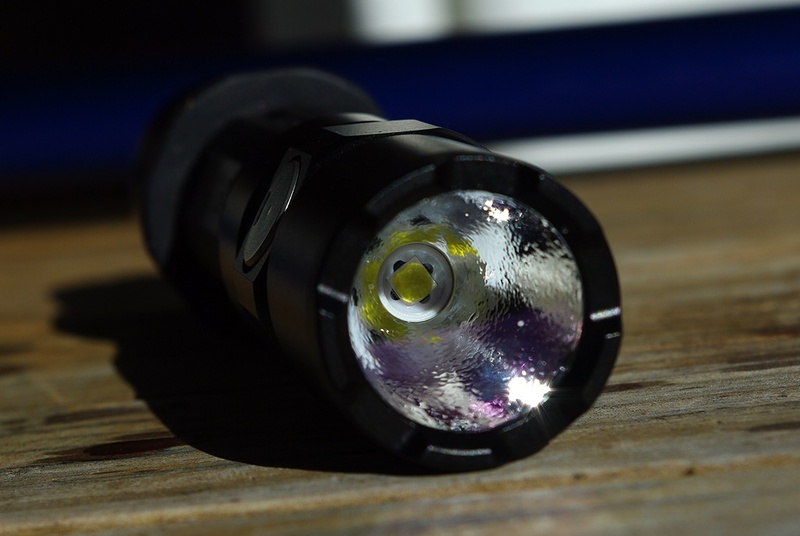 Having a light that can produce 1300+ Lumens and then maintain it ( with a good battery ) is just so nice . ( Especially from a single cell compact flashlight ) . Momentary VIA the on of clicky switch . It's a long firm press that's needed and the tail clicky is almost like a two stage clicky ( If you have ever used a two stage trigger on an old military bolt action rifle ) . The cliky on the TH15 is sort of reverse of that , by which I mean it starts firm and then eases up as you enter momentary on . You can either hold momentary or just continue on and turn on the light . ( This is what my sample did ) Now I don't mind this at all but I would really like to have seen the tail caps ears ( Well , just not be there ) . Is the TH15 EDC ? That would depend on how much flashlight you can tolerate . I carried the TH15 in my jacket pocket easy enough , in my front and back pants pockets and in all fairness it never really vanishes . You will always know its there . You could carry it in a belt holster , which emergency / security / law enforcement would certainly do and in that regard would be no harder to carry than a Surefire P6 . First of all I would swap Turbo and strobe functions .. Make Turbo easy to access and strobe hard to access . The TH15 does not tail stand so I really don't see the need for the Ears on the tail cap . Why not just make the clicky switch even easier to access ? 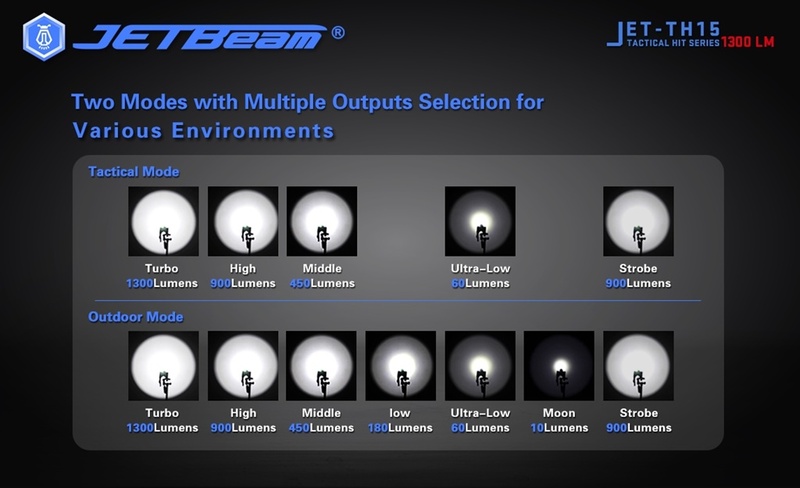 Other than that , I think Jetbeam has done an excellent job with the TH15 . I am impressed by the TH15 , the build quality is simply superb . The triple tail switch is fantastic and with the option of using the side switch to lock in a light level to start on makes the light very KISS . 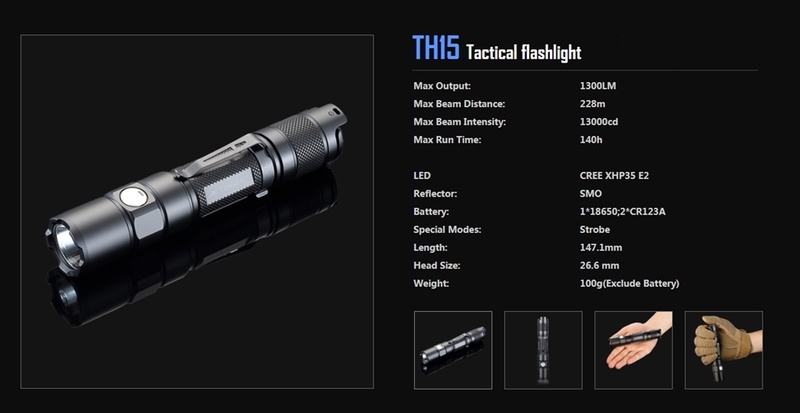 Is the TH15 Tactical ? I would say yes , but more so in the outdoor mode than in the Tactical mode simply because the TH15 is more KISS in the outdoor mode . I would have really liked to have seen Turbo and Strobe access reversed ( But that's just me ) and no ears on the tail cap . Other than my personal preferences I simply have nothing to complain about that would be relevant to quality or construction . The TH15 from Jetbeam is a real beauty to behold . The only score I can give the TH15 is 10 out of 10 , it does what it was designed to do . 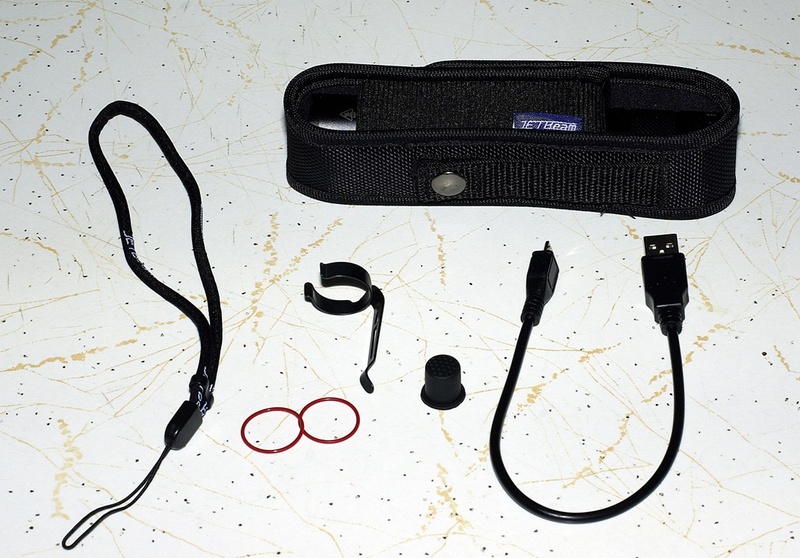 Accessories - Two O rings for the tailcap seal - A very nice clip - A very well made holster - Rubber boot for the tail clicky - USB charge cable - I did how ever not get the USB rechargeable 18650 battery as well the Lanyard .